Iran's foreign ministry condemned Israel's operation to protect its citizens from Hamas rocket fire on Wednesday, calling on the West to urge the Jewish state to prevent a "human catastrophe". The remarks by Iran, a traditional ally of Hamas, came after the Israeli Air Force pummeled terror targets in Gaza Tuesday night, in response to nearly a week of near-constant rocket fire on Israeli civilians. "We are, unfortunately, witnessing the escalation of savage aggression by the Zionists in recent days against the innocent and defenseless people of Palestine," IMFA spokeswoman Marzieh Afkham said in her weekly briefing with reporters. Iran calls on "Western countries and supporters of the Zionist regime (to) take firm a stance and prevent a human catastrophe and stop the attacks," she added. Afkham also questioned the "unrealistic excuse of the kidnapping of three Zionist settlers," referring to the horrific abduction and murder of Israeli teenagers Naftali Frenkel (16), Gilad Sha'ar (16), and Eyal Yifrah (19). Unsurprisingly missing from the statement was the fact that Hamas and other terrorist groups in Gaza have fired more than 500 rockets on Israel over the past week, according to several estimates, with 120 fired on Tuesday alone. 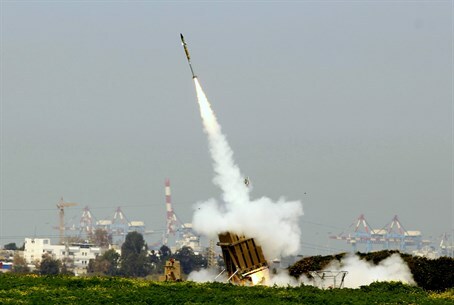 Hamas's rockets have hit not only the embattled Israeli towns and villages bordering Gaza which have been under constant attack for more than a decade, but also reached major Israeli cities, such as Be'er Sheva, Tel Aviv, Jerusalem, and even as far north as Hadera. Iran has been crucial in providing Hamas and Islamic Jihad with long-range missiles such as the Fajr-5 and M302 - the latter of which is believed to have been used to target cities in central Israel. Earlier this year Israeli naval commandos seized the Klos C ship, and discovered weapons including long-range rockets destined for terrorist groups in Gaza.